What is Clipsal C-Bus Wireless? 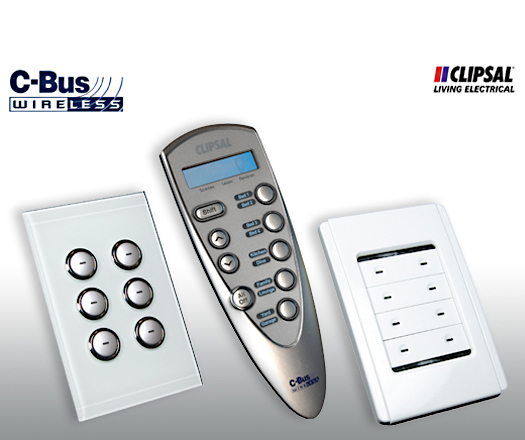 C-Bus Wireless allows you to easily retrofit advanced Clipsal Cbus* automation technology into your existing house without the need to renovate or rewire. It is also a great product for people living in a rental home, unit or townhouse as you can inexpensively install then remove the automated systems to take with you when you move. Or perhaps you have an existing wired C-bus installation and just want a new switch in a location where there is no cabling. The wireless and wired systems can co-communicate through a gateway making it all one standards based C-Bus system. 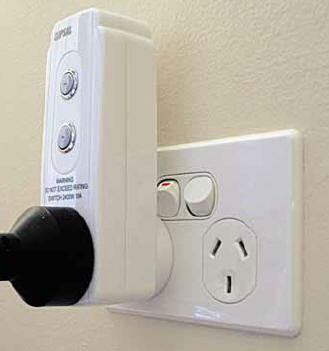 Cbus wireless uses the existing Australian standards based mains wiring in your home, but the switchplates communicate with each other over radio frequency (RF) to pass the normal Cbus commands between units. You simply replace the existing light switches with the new C-Bus Wireless wall switches many of which are the same modern, interior designer recommended, architecturally pleasing Cbus wired switch plates. This allows you to have premium Switchplates such as the ultra-modern Glass / Chrome Saturn series or the designer friendly modern, decor configurable / matching Neo. As noted, C-Bus Wireless wall switches talk to each other over RF (radio frequency), much the same as a garage door opener or car's keyless entry. In other words, when you press a button, it transmits a message that says "kitchen light; turn on". The kitchen light hears the radio message and says "hey, that's me; I'll turn on". Like any standard wired C-Bus installation you can also set up scenes that turn on (or off, or dim) several lights to various levels from the press of one button - all configured the same as regular C-Bus. Add some C-Bus Wireless plug adaptors to the design and you can dim table or floor lamps or switch on or off appliances as part of your automation system. C-Bus Wireless wall switches are available in both the Neo and Saturn range and the entire system can be operated by RF remote control. Because C-Bus Wireless uses traditional wiring, it is the perfect upgrade for your existing home. It is great for people who only want to automate particular parts of their home - like their living areas, home theatre, etc. They can start small and expand the system as they wish. For the tech savvy younger person who may be renting, nothing beats being able to control your home to the same level as if it was your own home you built yourself. 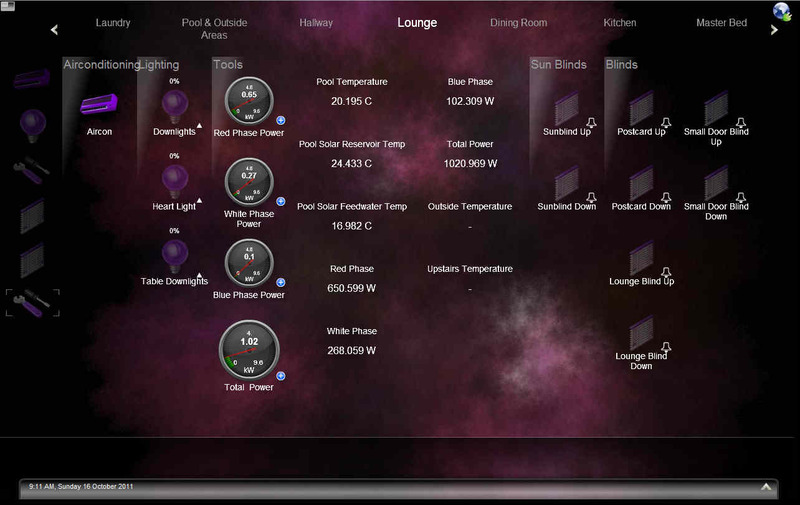 Finally, add a Clipsal Wiser Home Automation Control to your plan and control your home from your iPad, iPhone, PC or Android tablet. Your house is modern, so why leave it with systems control equal to a 1970s vehicle. Automate and you'll enjoy the lifestyle and function.